Today has been a lovely day. The girls have, of course, gone to bed on a massive sugar high but Easter Sunday was a wonderful day for exploring, egg-hunting and enjoying a family roast with the girls' Grandparents. Our Easter Egg Hunt this morning saw the girls discovering their Peppa Pig Easter Eggs hidden inside a mini-green house! Tomorrow we have a quiet day planned and I'm sure we'll get up to some Easter crafts and just chill out in front of the television. As a working family, our Easter Holiday can't span the whole two week school break so we have to make the most of the mellow family days when we get a chance. We have a short break planned later in the school holidays but for now we will enjoy the Bank Holiday and relax... we don't often get a chance to relax! 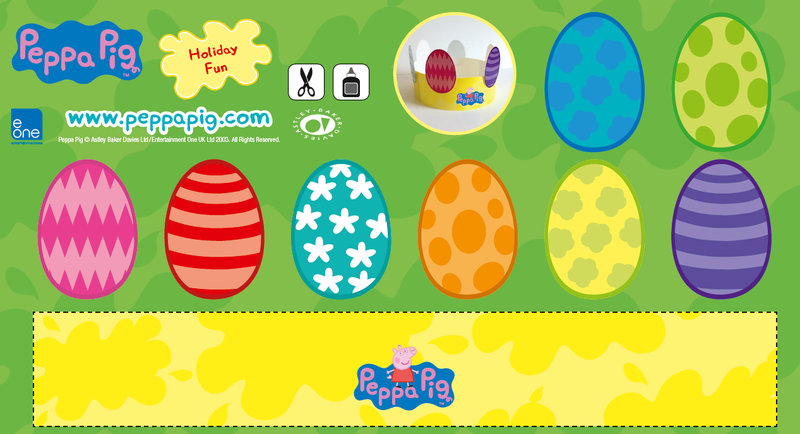 If, like my two girls, your children are still eager to prolong the Easter activities then you can find some fun Peppa Pig themed craft activities for the school holidays that can be downloaded and printed from the Peppa Pig website. Right now there are Easter activities such as an Easter hat, Peppa Pig bunting and egg painting as well as puzzle games to play and competitions to enter. During the half-term holidays and the long summer-holiday there will be lots more fun family activity ideas to be found, all with a Peppa theme. On the Peppa Pig website you can also find out whether Peppa will be visiting anywhere near you during the Easter holidays. As Peppa Pig holiday bloggers we were sent a sample of product ideas for the Easter holidays - how about this small travel activity colouring set which can slip into your changing bag? Or this fun summer sticker book which Holly absolutely adored (in fact, she played quietly with me and stuck in every sticker studiously for about an hour... anyone who has ever met Holly knows this is unheard of). Of course, some of our lazy Easter Monday will probably be spent chilling out in front of the TV. 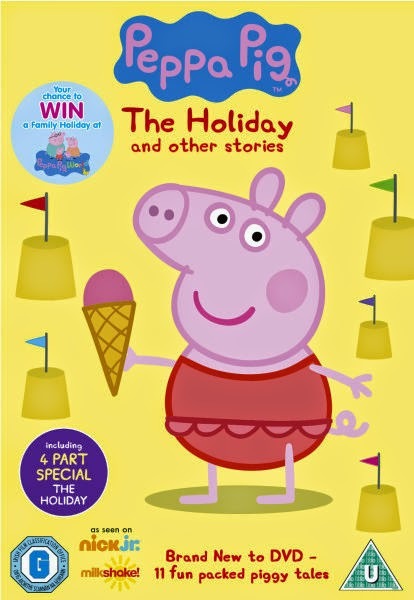 It is a good job we have a stock of Peppa DVDs to watch throughout the holidays too! Our little Peppa fan will turn three soon and we have a very special Peppa Pig treat planned for her birthday!